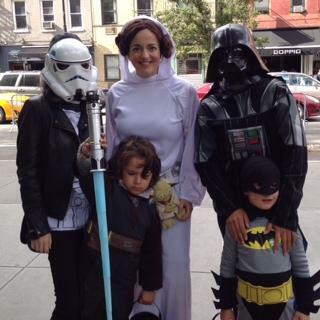 ... for making the 2015 Halloween Festival an amazing event! We sincerely appreciate the generosity & support of the local merchants and families. If you had fun at the Festival, please donate! The entire festival is free only because of the donations we receive. A special thanks to Michelle Hale, Jillian McIntyre, Joshua Siegel and Katie Jane McWilliams for organizing the festival! Thanks to the everyones generosity in 2014, we were able to put NEW SAND in the playground. 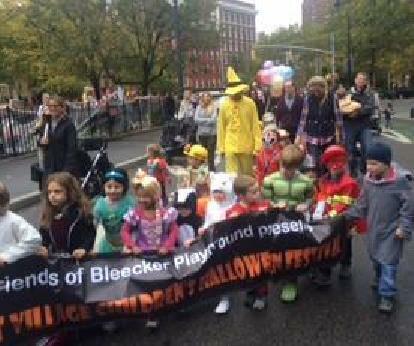 Please kindly donate, and help us maintain Bleecker Park to the highest standards and put on these wonderful events for our children! Thank you! 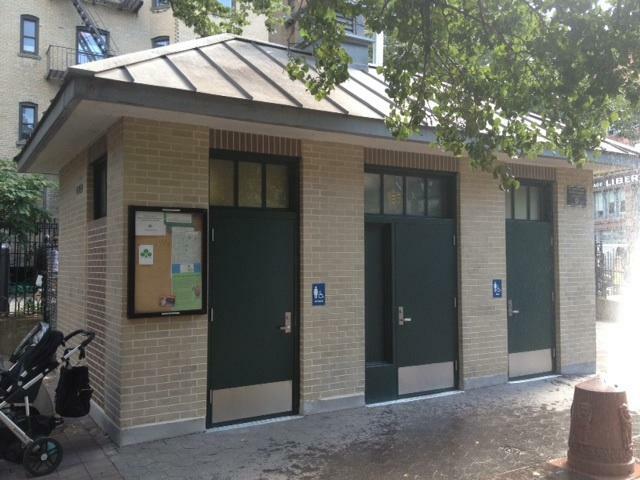 Bleecker Playground finally has new, clean, accessbile restrooms. The parents who initiated this project have children in middle school! Thank you, thank you, thank you to everyone who paid it forward. Please join Diane Freedman, a local Speech Language Pathologist, as she reads aloud a selection of stories for young children. for their support of the playground. Thanks to your contributions we were able to plant over 900 bulbs last fall, making for a great display of color this spring. Other plants are filling in and the garden is creating the kind of green buffer between the play space and busy street we've always wanted. For a look at what this area used to look like, check out some before photos. This is a completely privately funded and maintained garden.Thanks again to everyone, especially Jeanette Mall, for all the hard work. On Thursday, May 24, Bleecker Playground got NEW SAND! generous donations from local families and residents. even through the pouring rain, to complete the project. Help us continue with our efforts by making a donation. Thanks to a $700,000 anonymous donation and an additional $300,000 from Speaker Christine Quinn's office, the seating area next to Bleecker Playground got a much needed update. Thank you to Ralph Musolino, Gail Wittwer Laird, and everyone at NYC Parks Department for making this happen. And thank you to Magnolia Bakery for volunteering additional trash pick up.